I'm pretty excited about my new book being launched to Kindle. What better way to celebrate than have a giveaway!!! I didn't want to just raffle off something practical like a ipod, I wanted it to be a one of a kind item. So I took to the net and acquired this treasure. It was signed by Justin in the US, and will pass PSA and DNA testing. Mr Beliber himself has touched this photo, and I am raffling it off to get my book seen (and hopefully purchased) by people of impeccable taste and style. Mya Belan was invisible. A social misfit tolerated at the popular table only because of her best friend Jaimie… but ignored by everyone at school. Why is Silver Tides only 99cUS? Being a new author I want to get my work out there for people to read. I know people don't want to pay a lot for an unknown entity, but if I give it away for free people won't value it. So buy a copy, check it out, you can even get one for a friend. It's a bargain! Why give away a Justin Beiber autograph? 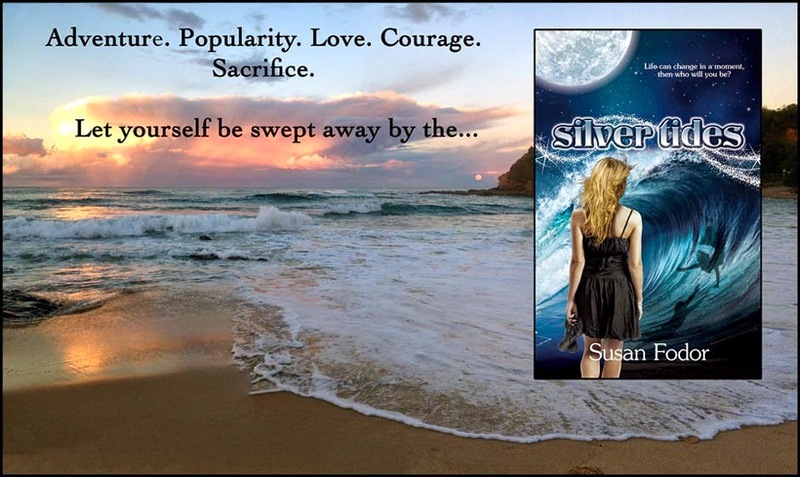 Being a brand new indie author, I wanted to get my book out to the audience I wrote it for. Who has the most young adult followers on the net? Justin Bieber! 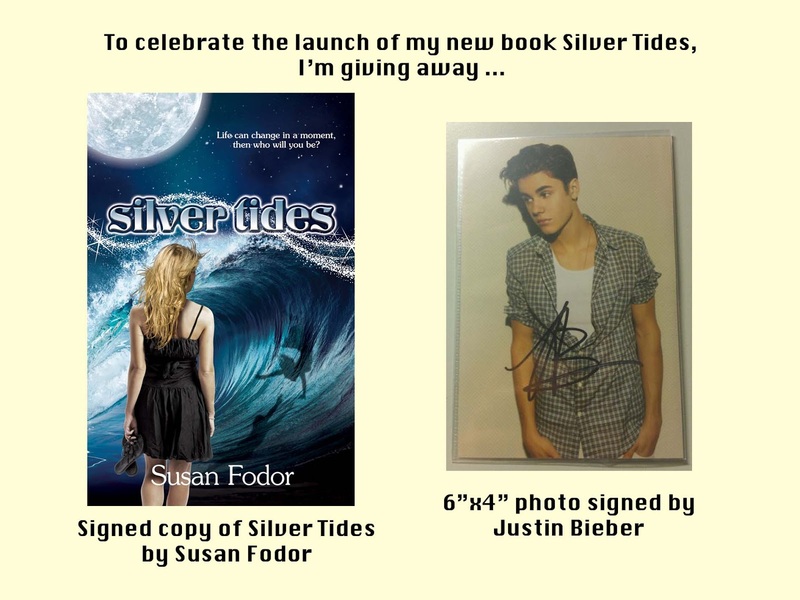 So to get word of my new book out to the masses, I'm giving away something precious my Justin Bieber autograph and my brand new book! Follow this link to enter and rafflecopter will choose a winner on September 2, 2013! THE WINNER IS: TANYA JOHNSON!!!! I will publish the name of the name of the winner on my blog. So if you don't want your name publicized, best not to enter in case. Good luck!!! Next month I'm giving away a Justin Bieber signed copy of Rolling Stone Magazine. It comes with a Certificate of Authentication (COA). So pop back from time to time and check it out!